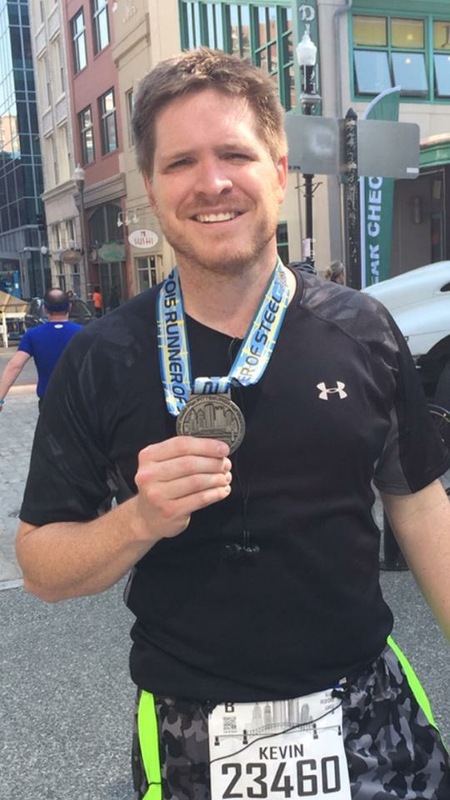 I completed my first half-marathon in May of 2015. As I begin to recover I feel it’s my responsibility to warn anyone considering such an endeavor of just what awaits them. If you have never run such a race you will be somewhat educated. If you have run before you may find yourself agreeing or disagreeing, either way, let me know. Regardless of your personal experience what you will find below is the truth regarding running. There are no stats, no figures and diagrams..no, below you will find the 10 things about running that you may not know. You would think a throng of amateur runners would be something less than exciting to watch. Who wants to see thousands of people sweat, pant, and groan through a 2 hour workout? TENS OF THOUSANDS of people do. I’ll never forget the feeling of running through the crowd at the starting line. I never felt so alive. I’ve never felt that amped up before. I felt such a burst of excitement surge through me as I ran past signs, noisemakers, and screaming spectators. It was surreal and completely exclusive to running. It was the greatest 100 feet of exercise I could have ever imagined. I wasn’t more than 100 feet into the race. My heart pounded from excitement. I could barely catch my breath taking as I took in the ovation of the audience. At least that is what I thought that lack of oxygen was. Notice how many people look awfully strong crossing that finish line even at the 5 hour mark of a half marathon? That last stretch of race is softest, lightest, and most exciting 500 feet of running anyone will ever feel. Consider that for the past however many hours you have been running, walking, shuffling, crawling in hopes of seeing this glorious conclusion. It is the pot of gold at the end of the 13.1 mile rainbow and the reward is so sweet. I’ve seen buckets of sweat masquerading as runners skip the last 500 feet. Its an amazing sensation. If you find yourself at odds with another runner or you begin bickering with a random fellow marathoner then it is likely your fault. 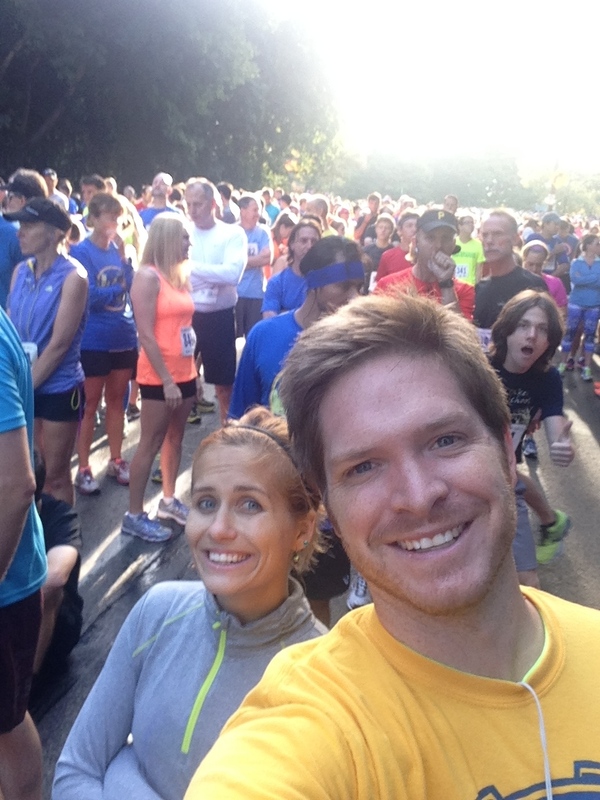 The running community is as inclusive and encouraging a group of people you will ever meet. Sure, toward the front of the starting line there is jostling for position, it happens. Every once in a while if you stop too quickly without allowing runners behind you any warning you will encounter less than cordial folks. But it is absurdly unlikely. When riding in a shuttle, walking to the starting line, or checking in at the runners expo prior to the race please feel free to spark up a conversation with anyone there. You won’t be disappointed. Running is like a shared fandom of a sports team or a political party….Very big tent and very arms wide open to fellow members of this particular cult. In the aforementioned expo you will find yourself enjoying some of the greatest merch in the land. There are Bumper stickers, comical shirts, and flat out crazy cool running gear awaiting you. Not only does every runner get a shirt that screams ‘I did it!’ as part of the registration, but the mercantile opportunities to share your running passion with the world await you and your credit card. Everything from specialized running shoes and socks, but customizable shorts, pants,, shirts, sweatshirts, sunglasses, and hats are yours for the perusing as well. Quite sincerely it is a lot of fun to buy something you can wear to proudly show off your running successes. It was astonishing to me, as I began my training, just how little everyone knows about the idea of long distance running. So many family members would ask questions designed to make me nervous. My co-workers would try to make me feel ridiculous for willingly agreeing to do it. My best friends challenged my sanity in general. If they have never had the bug or desire to complete a long race they will likely never get it and that’s ok. Let it be yours. Share it with anyone who asks, but don’t be surprised when they just don’t understand why it’s important to you. It’s not your job to convert anyone. 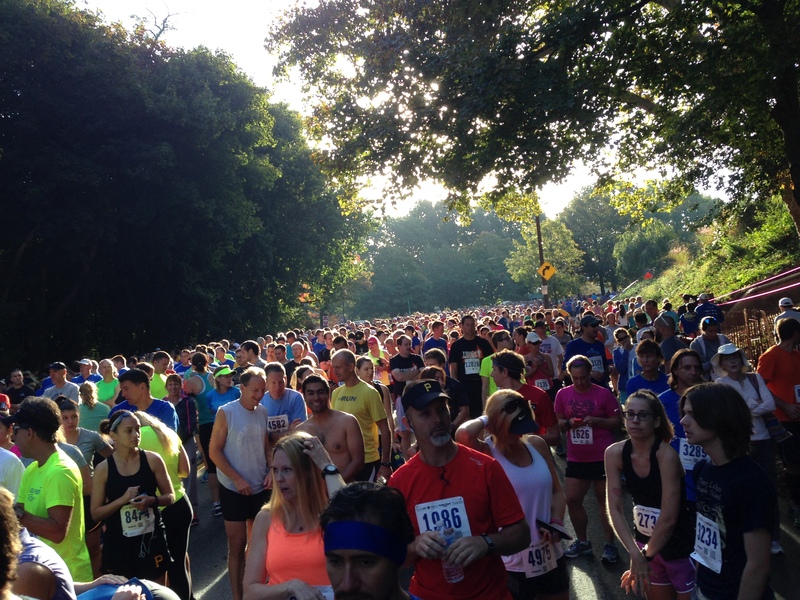 Running is a very individual sport with an incredible community that shares your ups and downs. Don’t let yourself get down by how few people out there actually care about your race. They just don’t get it. Everyone thinks that their toughest accomplishment was harder to achieve than everyone else’s great achievement. The beauty of half and full marathons is that they are a defined distance. The downside is that the conditions from year to year, or course to course, are never identical. Past runners are unlikely to give you a great deal of credit. They’ve been there and done that. They’re happy for you, but it’ll never compare to what they personally did. So when a past runner concludes that did a great job don’t be surprised if they don’t add that they wonder how you would have faired in the race they ran 10 years earlier. Just like the hall of fame in football or the masters in golf, once you’re in you always have a place in the conversation as a finisher. And that is a great thing. It is a fun community. I may be the only one, but I absolutely love the inevitable soreness following a big race. I love the feeling of a hot shower over a sore body. I feel accomplished and I feel alive. I know just how few people in the world at that time feel as successful and sore as I do and I love that. I remember wondering how I would feel post-race. Would my legs hurt or my shoulders? What about my flat feet or my back. The truth is that all of it hurt at one point or another and I loved it. When you close a big sale or buy a new house theres great feeling in your mind or in your bank account, but your body feels the same. After you complete a big race you feel it from head to toe and its a soreness, not of defeat, but of victory over your self and it is perfect. The last 500 feet are Heaven, but those first steps after the finish line are a high unlike any drug could ever offer. It’s not paid for. It’s not illegal. It’s an earned feeling of accomplishment and success. Once you complete 13.1 or 26.2 miles of sheer effort, the feeling at the end is simply epic. A colossal internal celebration begins and lasts for weeks. While through those many miles of running we find ourselves wondering why we would ever agree to do this to ourselves, it takes but a few steps after the finish line to imagine doing another one. Once you cross you realize that not only can you do it, but it doesn’t kill you. In fact, even though you’re finally done running you realize it wasn’t that bad to begin with and maybe, just maybe, it would be fun to do it again or for a longer distance. Maybe I can even do it better the next time around. I would have never imagined myself becoming a long distance runner at 30. I had never run more than a few miles prior to training for my first Half Marathon. Full disclsure, I finished 20 minutes past my goal on my first half marathon, but I finished! Finishing the race was my first goal. I plan to run my second half in November 2015 at the Disney’s Avengers Half Marathon at Disneyland. Kevin Redford is a speaker, author, and consultant for small businesses. He is the owner of three small businesses in the Pittsburgh,Pa area. He can be reached via twitter @kevinredford or instagram @kevredford or email me@kevinredford.com. I can say that running shoes don’t just look good they make you faster Scientific fact !